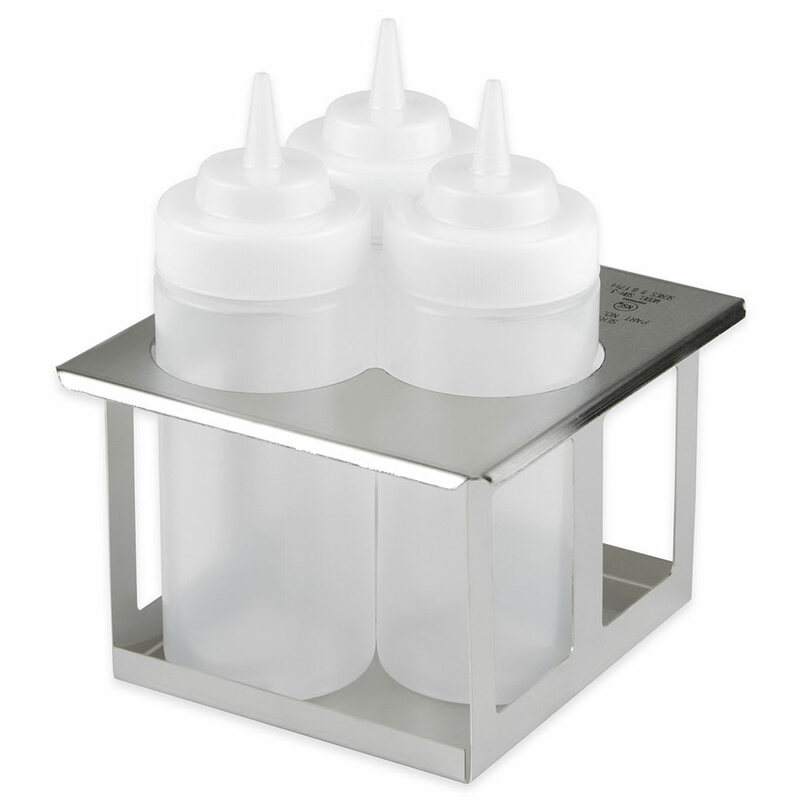 The Server 86831 squeeze bottle holder fits in a sixth-size pan cutout in prep tables or other chilled units. Cold air can be circulated evenly around the product since it has an open frame, and its lid keeps bottles in an upright position. Holding three plastic, 16-ounce TableCraft® bottles, this bottle holder is constructed of strong stainless steel for rust resistance. Squeeze Bottle Holder, triple unit, 8-1/8" H x 6-7/16" W x 7-1/16" D, includes (3) 16 oz. squeeze bottles, stainless steel with brushed (#4) finish.